1. 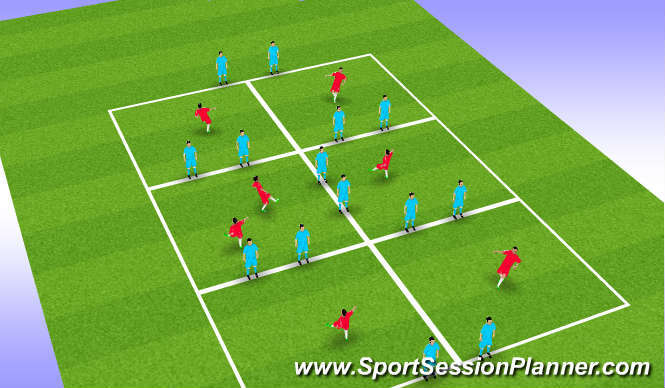 Take the balls through the square do a trick and pass to player without a ball and change. 2. Play 1 - 2 and set. 3. Play 1 - 2 turn back through square pass and change. Blues are pairs of defenders, reds have to pass through the pairs of defenders to one end and back. 2 touches. Support infront, behind and sides. 3 v 3 & 1 Floater. Coned area around each goal. 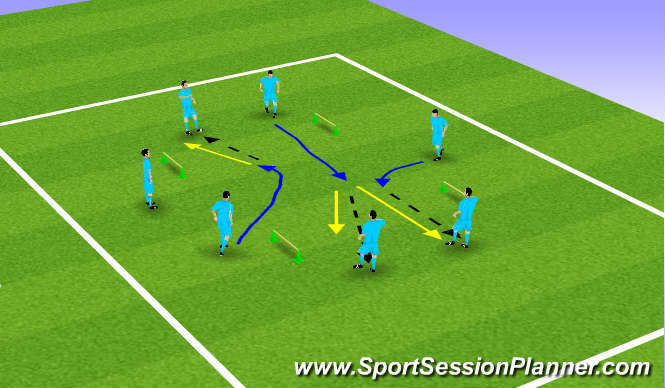 A player from the attacking team has to make a run into area to set up a finish from supporting team mates. Game 3 v 3 & Floater applying support, angle, distance, infront, behind and sides. Passing 2 touch. Different parts of foot. Support player on the ball when and why to run. Type of run overlap etc. High tempo. Short sharp bursts and agility, balance, co-ordination. Once the players understood the practice they grew in confidence. 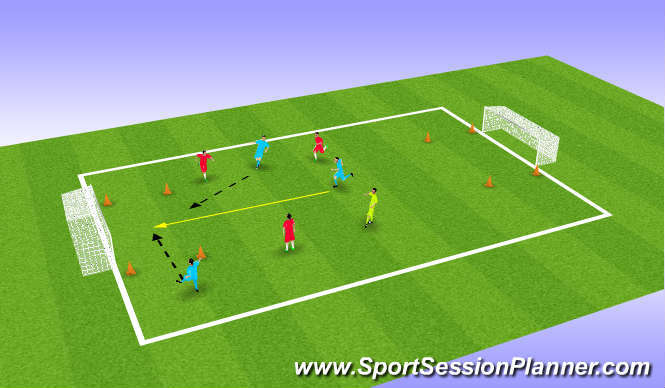 Players were good and understood how to make runs to support player on the ball. They worked very hard and tired towards the end.